Presentations may be used as built or revised by you to meet your individual needs. If you are interested in bringing Step UP! to your campus or other training options, please contact us. The initial Step UP! training educates students on the concepts and theories of bystander intervention including strategies for effective helping. This training is then the foundation for the topic-specific presentations that go more in-depth into a particular subject and are meant to be delivered after students have completed the initial training. 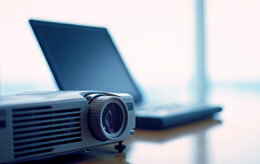 We have created approximately hour long presentations that go more in depth with each of the Step UP! topics. The goals of these presentations are to educate more extensively on the topic and on how to intervene. These presentations do not intend to cover all aspects of the topic nor to be the authority on the subject matter. They are merely starting points. You are encouraged to use your own resources and professionals on campus to help supplement the information and co-present if possible. Presentations are available in a mix of PPT and PDF only on the Topics page. Access presentations from the most recent Step UP! Bystander Intervention Program Facilitator Training sessions on the Conference Presentations page. Additional scenarios by topic are available in the Resource Library. If you would like to submit a scenario to be considered for inclusion in Step UP! you can submit it to us at info@stepupprogram.org. This individualized session will give you step by step instructions on facilitating the Step UP! training on your campus. If you have questions or are interested in signing up for a webinar contact us at info@stepupprogram.org.